Saint Michael’s will strive to be an exemplary Orthodox Christian Community which worships the Most Holy Trinity, and is devoted to receiving, celebrating, and sharing Jesus Christ, His love, and His teachings. To receive the Grace of the Most Holy Trinity through our participation in the Sacramental Life of the Church, our personal commitment to God and our pursuit of Holiness. To celebrate God’s love through Orthodox Christian worship, fellowship, and witness. To share God’s love through charity, evangelism, and Orthodox Christian education. 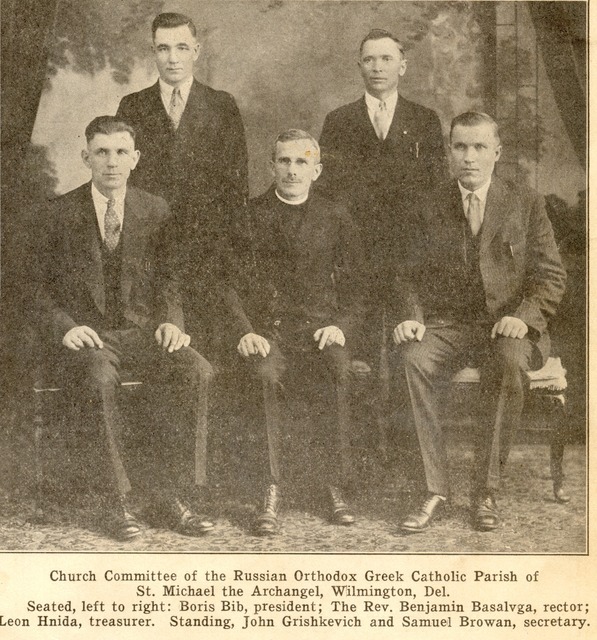 In 1913, a small group of Orthodox Christian immigrants from the Austro-Hungarian area of Europe, Russia and Ukraine met to consider forming a Russian Orthodox parish in Wilmington. 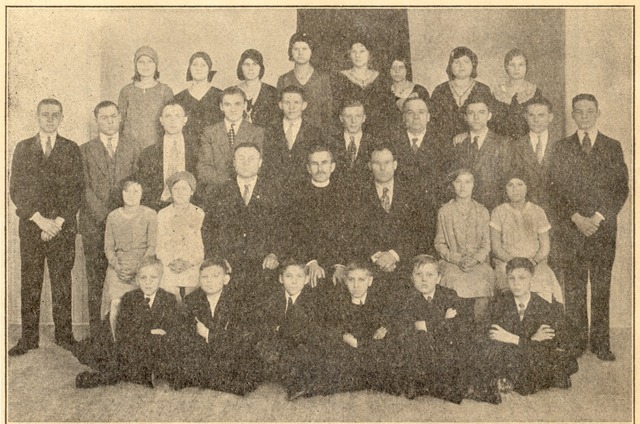 In 1915, a larger group under the guidance of Fr. John Zloben purchased a row house at 431 South Claymont Street in Wilmington's Southbridge neighborhood and converted it into a house of worship. Growth increased in 1921 when a Russian Orthodox community in Pennsgrove, NJ closed and religious articles were acquired. Further growth permitted the addition at the site in 1930 of a priest's living quarters as well as church school facilities. In 1950, under the spiritual leadership of the beloved Archpriest Basil Anziferoff, the rowhouse chapel at 431 S. Claymont Street was torn down and replaced with a brand-new church edifice. In 1962, six acres of farmland on Kirkwood Highway were acquired from the Zabenko family. By this time, most of the parishioners were moving from the Southbridge area to the suburbs. In anticipation that a new house of worship would be built on the Kirkwood Highway property, a rectory for the priest was purchased in 1975 in nearby Newark. Under the spiritual leadership of Father Joseph Chupeck, the community of St. Michael the Archangel built its present structure. To obtain funds to construct the new church on Kirkwood Highway, the Southbridge site was sold in 1978 and ground was broken in that same year. Through the generosity of McCrery Funeral Homes, the funeral memorial chapel was used for the parish's worship services while the present house of worship was under construction. The new church was completed and dedicated in 1980. 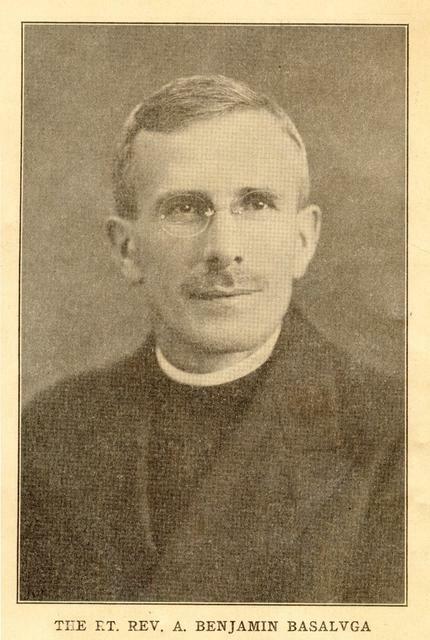 Since the establishment of the Church on Kirkwood Highway, several things were accomplished. A rectory adjacent to the Church was acquired in 1985. A traditional cupola and gold cross, which evoke the style of Orthodox churches in the Carpatho-Russian regions of Poland, Slovakia, and Ukraine, from which many of the parish's original members stemmed, were added to the Church in 1990. The iconostasis was completed in 1996, and in the same year the Church was consecrated with the placing of the Holy Relics in the Altar by Metropolitan HERMAN (then the Bishop of Philadelphia and Eastern Pennsylvania). Since the 1970s, St. Michael's has used the English language for worship services and has followed the New (Revised Julian) Calendar. Today's parish life includes a full cycle of church services throughout the year, educational opportunities (Sunday School, Vacation Bible School, Bible Study, Inquirer's Class, catechumen tutorials, etc) and various ministry services, such as: Altar servers, choir, chanters and readers, Sisterhood, Pierogie makers, youth activities, young adult campus ministry (OCF), prosphora bakers, coffee hour hosting, greeters, service duties, church cleaning, church council, library, bookstore, and building and grounds maintenance. Presently, by God's Grace, we are growing. There are new converts, new arrivals from "traditional Orthodox countries", and new Orthodox families who either moved into the area or transferred into our parish. The parish has become a very "Pan-Orthodox" Church of "All Nations". On the strength of this growth, our parish community is currently undertaking a project of building expansion. We will construct a large social hall with a larger kitchen and handicapped-accessible restrooms, and we will also expand the physical size of our church. A successful Capital Campaign was launched in May 2004 with $374,000 in pledges. In September 2007, we planted a cross on the location of our new building and Bishop TIKHON of Philadelphia and Eastern Pennsylvania consecrated the site. After delays due to zoning and permitting issues, construction finally began on the project in September 2009. The project was completed in October 2010. May God lead and guide us!